Thank you so much for your interest in becoming a sponsor. Here at Humble Mechanic I do sponsors very different. Generally when you see a sponsor on other websites, it comes with some type of caveat. They will tell you that an advertisement is not an endorsement. That may be fine for some folks, but that doesn’t fly around here. If a company is a sponsor here, it IS a personal endorsement by me. You know, the type of place you would send Grandma to do business. In addition to what was mentioned in the video, you get first dibs on reviews of your products. As well as product placements. 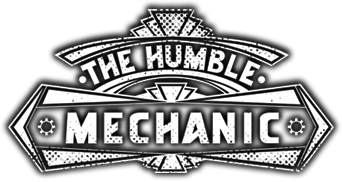 Types of companies that fit with Humble Mechanic. I have set an extremely low sponsorship price. Remember that these videos are online forever. That does not include the links in the blog, and mentions on Social Media sites. How much traffic will you send me? There is no way to know for sure. In addition to being mentioned on the show, your banner will be on the blog. You will also be part of a really great community. Much of the traffic can depend on level of involvement with the community. Do you have links to your Social Media and Podcasts? Why are you so strict about sponsors and advertizes? This is simple. I have put a lot of blood sweat and tears into doing a great job for this audience. THEY are the reason that I do it. So if I put a sub-par company in front of them, I lose credibility. I consider sponsors more of a service to the community than a way to generate income for myself. Thanks to Jack from The Survival Podcast, and Brian from ITS Tactical. This sponsorship model is built off of what they do.